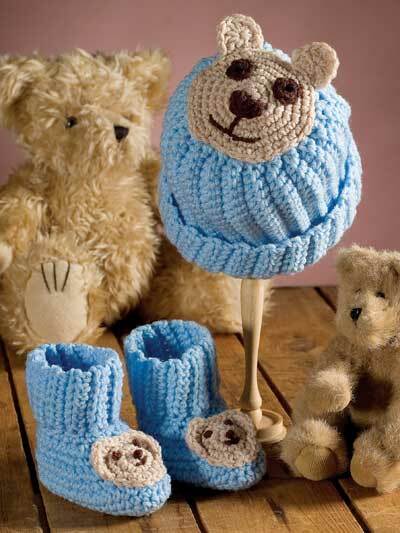 Darling hat and booties will keep Baby cozy and warm. Embroidered facial features are safe for curious little fingers. 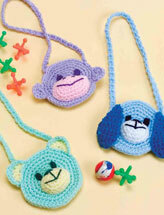 This e-pattern was originally published in Crochet for Babies & Kids. Size: Hat: 12 months. Booties: Includes 5" and 5 1/2" soles. Made with medium (worsted) weight yarn and size G/6/4mm hook.